During this session you will have the opportunity to gain practical experience in all things lambing. Guided by our Livestock Manager Jess, you will help to care for our lambs in their very first hours and days, by taking part in tasks like feeding the lambs, health checking and mucking out. You may even have the chance to witness the live birth of a lamb (if the ewes cooperate)! The session is suitable for those aged five and above, under 18s must be accompanied by an adult who has also purchased a Lambing Experience ticket. This is a 3 hour, intimate experience with a maximum of 6 people attending each session. This session is not suitable for pregnant women as there is an increased risk of disease associated with lambing. Tickets cost £35 per person and include admission to Sacrewell for the day. Teas and coffees will be provided. The ticket includes free admission onto the site for the ticket holder, so why not make a day of it and enjoy all we have to offer here at Sacrewell? 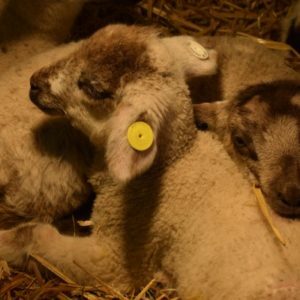 Our Night Lambing sessions will run from 5pm to 9pm on the 4th, 7th, 8th, 11th, 17th and 24th of April.